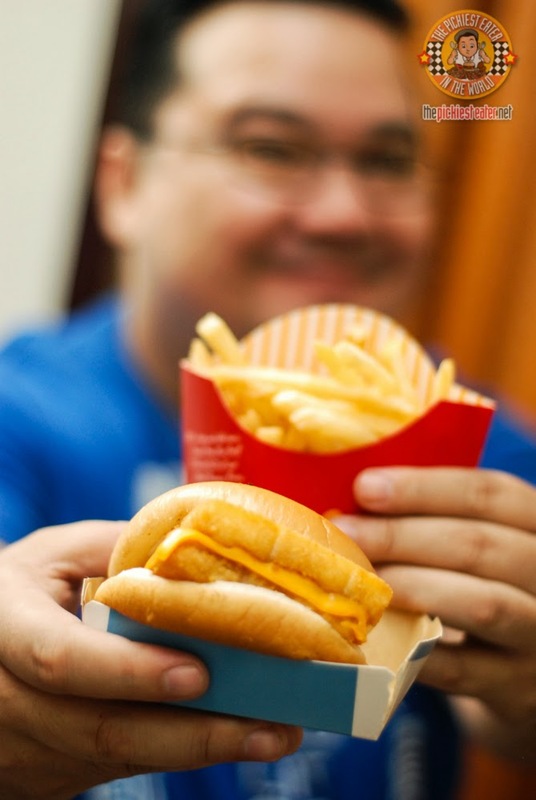 THE PICKIEST EATER IN THE WORLD: LENTEN SPECIAL: MCDONALD'S DOUBLE FILLET-O-FISH! 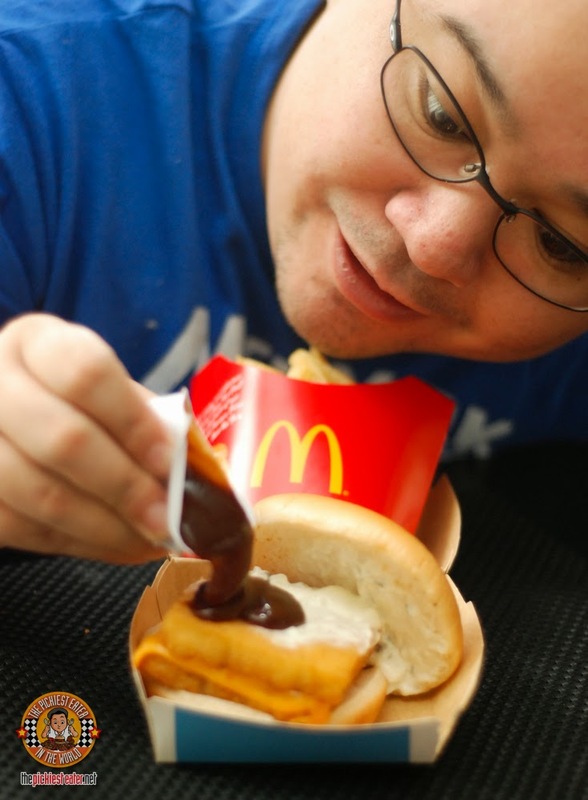 As I've mentioned in the past, I always eat ANY McDonald's burger with the Chicken Nuggets BBQ Sauce. Always. 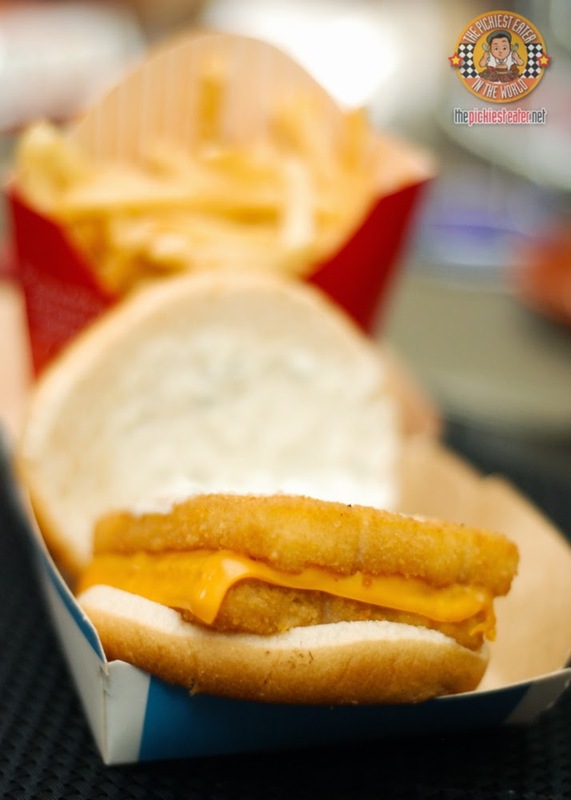 And the Fillet-O-Fish is no exception! 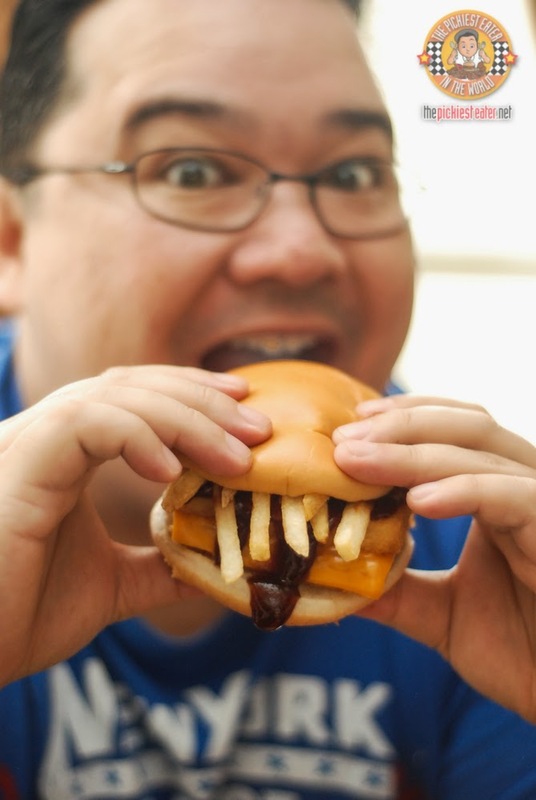 Here's a tip.. Pour some of the BBQ Sauce (P15) on the burger..
Take a handful of fries and stuff it in the burger for a nice crunch... And Viola! 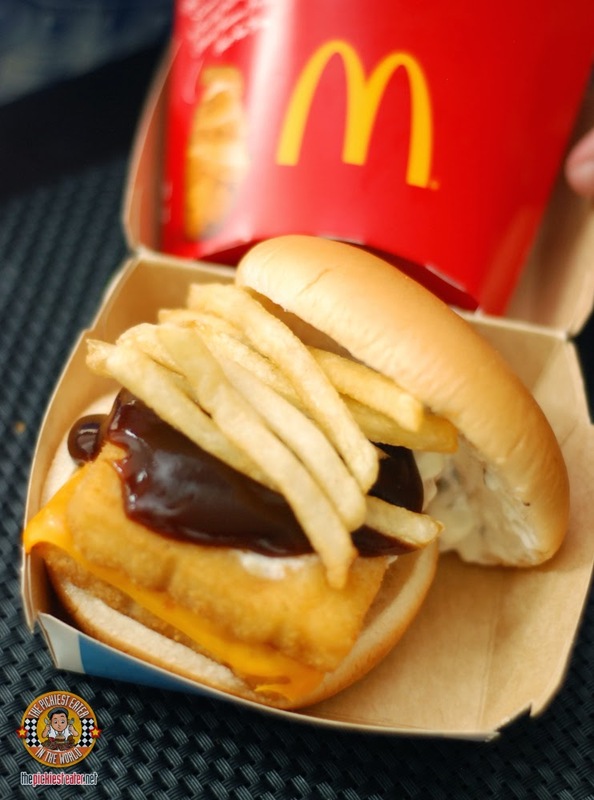 You just pumped up your Fillet-O-Fish for the Lenten season! I do this a lot so the taste doesn't become too cloying for me.. I can eat it over and over again hehe.. WARNING: It's kinda messy but that's all in the fun of eating it! Give it a try and let me know what you think! And if you've got any secret McDonald's Hacks or Tips you'd like to share with me, I'd love to hear it!! Hi Richie,don't get me wrong on this ok. But doesn't this defy the whole point of abstinence during the lenten season?Hahaha.Anyways just wanna let you know that I love reading your blog 24/7. Haha Bochog! Thank you for the kind words..